Kristy and her girls prepared for the day, makeup, curling irons, custom necklaces and gorgeous gowns. A photo of him sat on the mantle nearby. Kristy laughed her way through every moment - completely elated to be marrying the love of her life in a few short hours. 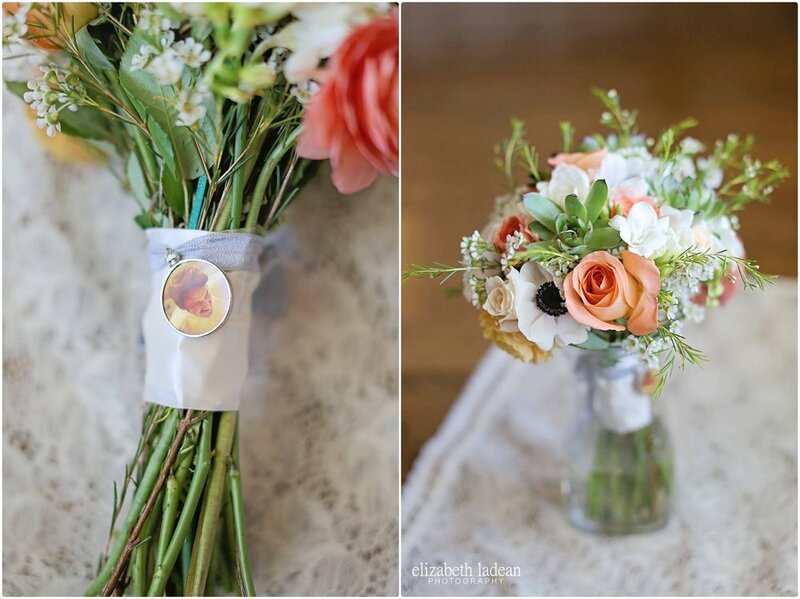 Her bouquet sat close by, with his picture tied around the stems. The girls helped her into her wedding dress. For every moment of that morning - of that entire day - he was nearby. 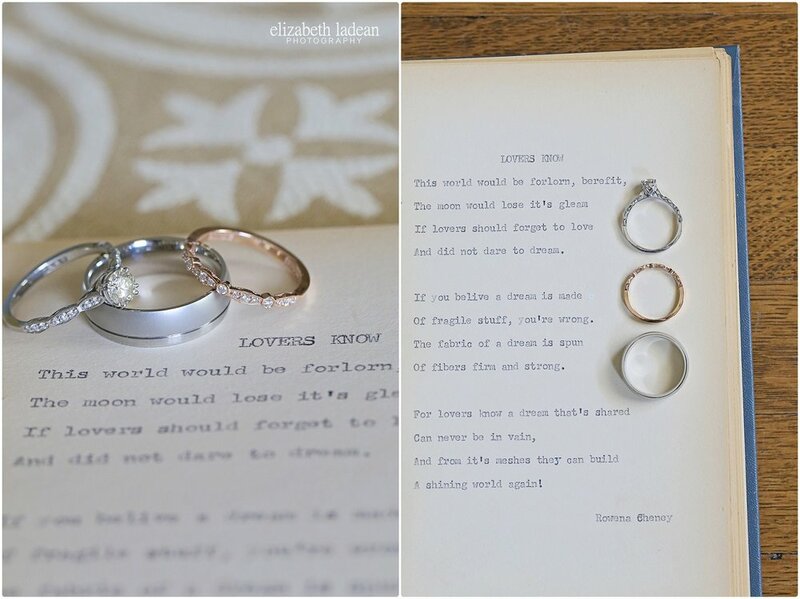 Seconds before Kristy left the bridal suite to go see her precious Travis, she picked up the framed photo for one more look, she smiled, she choked up, she glanced at it once more before replacing it on the mantle and heading out the door. "I'm ready" she said. You see - this photo that followed Kristy all day was of her sweet Dad. A man who couldn't be there with her on this special day...but was still there, regardless. And of all pictures she maybe could've used, she chose the one of her Dad smiling down on her in a hospital room, as she lay there all fresh and recently born - his daughter. His new daughter. 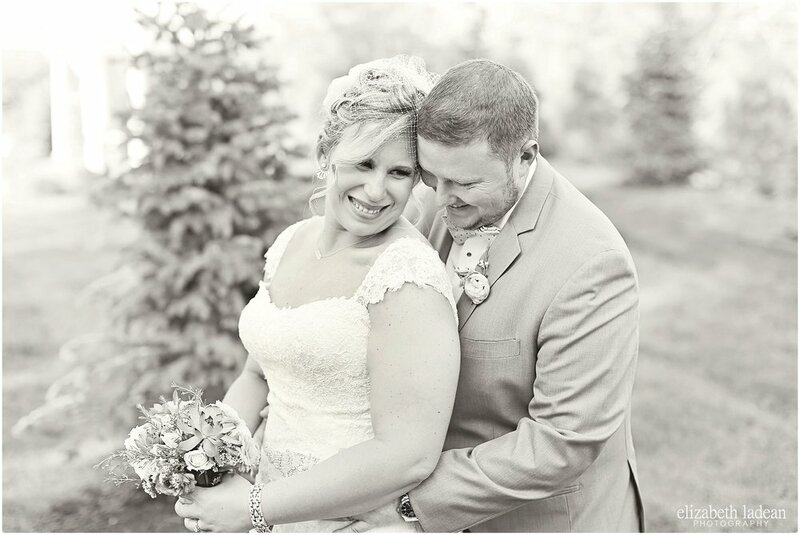 Kristy and Travis shared an emotion-filled first look, one where they could barely speak - just held each other and smiled at one another. Endless photos of the happy couple, their gorgeous wedding party, and their family came next. And then it was time...Haley Reinhart singing "Can't Help Falling in Love With You" started through the speakers, the beautiful space in the warm sun got all quiet and serene....and then here she came. On the arms of her precious Uncle and her Stepdad, with her Dad's photo close to her hand and with him undoubtedly watching close by - she came down that paved sidewalk and Travis melted into a pool of emotion. For every moment of this day - Kristy's Dad was there, and for all the obvious ways Travis oh so clearly worships the ground Kristy walks on....one easily believes that Kristy's Dad more than gives his blessing, is more than happy for his sweet daughter. Kristy & Travis - there aren't words. For this little photographer, I can't say much without getting choked up myself, but you guys were, and are, and always will be so special to me! Thankful doesn't seem a big enough word, but I am oh so thankful for you guys! See that look on Travis's face as he shakes the hand of Kristy's Uncle? THAT is a face of a pure, honest, and real promise!! The crazy-awesome surprise that Kristy's mom orchestrated for them... began with a large group photo of everyone..
And then through the crowd....Sluggerrr, from the KC Royals emerged! Go here to see Kristy + Travis's engagement session!